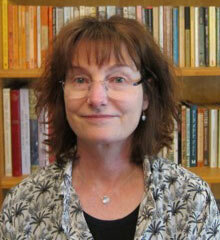 Julie is a social theorist with a wide interest in contemporary social and political debates. Her research is informed by feminist theory, social movement theory, memory studies and the emerging area of maternal studies. the reshaping of emotions and care under neo-liberalism. She also has a research interest in the theory and clinical field of psychoanalysis. Stephens, Julie (2018) ‘Shape-shifting Around the Maternal: A Response’ in Maria Fannin & Maud Perrier (eds) Refiguring the Postmaternal: Feminist Responses to the Forgetting of Motherhood, London, Routledge, pp.119-131. ISBN: 978-0-8153-9205-7. Stephens, Julie (2016) ‘Shadow Structures of a New Social Order’ in John Hinkson, et.al., Cold War to Hot Planet: Fifty Years of Arena, Melbourne: Arena Publications, pp. 259-271. Stephens, Julie (2015) ‘Review: Powers of Possibility: American Experimental Writing Since the 1960s by Alex Houen’, Chicago Journal of Modern Philology, vol. 113, no.2, pp.133-135.